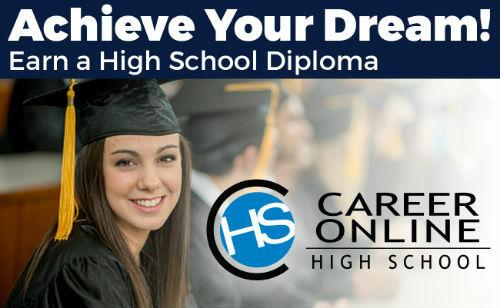 Career Online High School (COHS) is an online high school diploma and career certification program funded by Lone Cone Library, in partnership with the Colorado State Library and Gale, part of Cengage Learning. Residents of San Miguel County who have completed eighth grade and are 19 years old or older are eligible to apply. If you’ve explored the program and decide it’s a good fit, get started by taking the online Student Self-Assessment. For additional questions or information, please contact COHS Program Manager, Brandi Platt, at brandi@loneconelibrary.org or call 970-327-4833 to leave a message.